Residing solely in the forests of Costa Rica, Panama and Northwestern Colombia, cotton-top tamarins feed primarily on flowers, leaf buds, and sweet fruits. 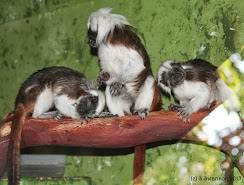 They are small primates, weighing on average only 12-16 oz. They live in family groups lead by an alpha male, often the father of most members. Cotton-tops usually live for 10+ years in the wild, and can reach older ages in captivity. These little ones are critically endangered. 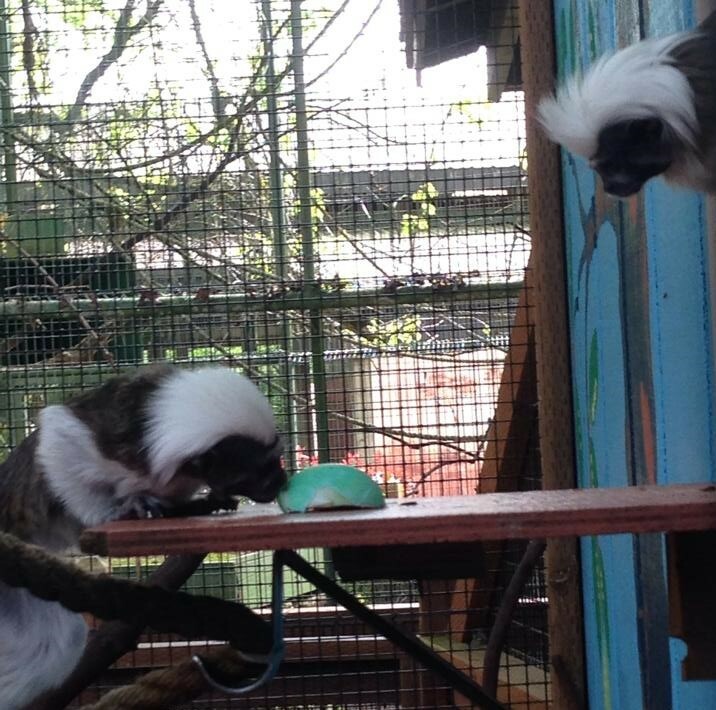 In the 1960’s and 1970’s, over 20,000 tamarins were imported to the US for biomedical research, and the surviving wild population never bounced back. The IUCN Redlist currently lists the wild population at only 6,000, 2,000 of which are part of the breeding population. With faces like theirs, one of the biggest threats to them is the illegal pet trade. Other serious threats include poaching, trapping, over hunting, and the ever present habitat encroachment and destruction. Conservation efforts are being led by groups like Proyecto Titi, Wildnet.org, the Wildlife Conservation Society, and the World Wildlife Fund.